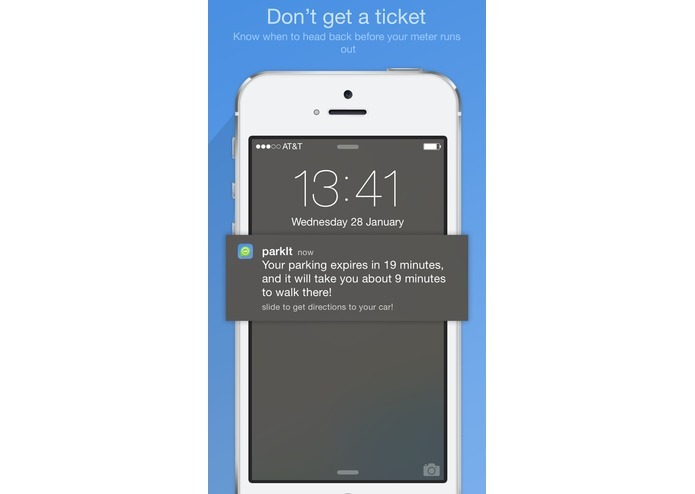 Never look for your car or get another parking ticket again! parkIt remembers where you parked as a point on the map, and it lets you add a note and an image to make it even easier to find your car. And with Dynamic Notifications, you’re almost guaranteed to get back before the meter runs out. Just set the expiry time, and parkIt will tell you when you should head back! When you’re ready to go back, parkIt shows you the quickest route to actually get there on time. If you need a little more information, it even finds the approximate address of your parking location! parkIt is really easy to use. With the tap of a button, parkIt finds and stores your location. If you’d like, you can scroll down to add some extra information like expiry time, a note, and an image. When you’re done, just close the app and everything will be taken care of automatically. When the time comes, parkIt will notify you. If you didn’t set an expiry time, just open the application like you normally would. parkIt automatically detects your parking, and with just a click you’ll get directions, distance, and estimated travel time to your car. If you choose to turn on Smart Automatic Deletion©, parkIt will delete your finished parkings for you whenever you’re done with them. But don’t worry, it won’t delete the parking until you’re really done. ● Only one button: parkIt only requires you to press one button to save your location. That way, even if you’re in a hurry, you’ll have time to parkIt! ● Expiry time: You can enter the time your parking expires, and parkIt will let you know when you should head back! 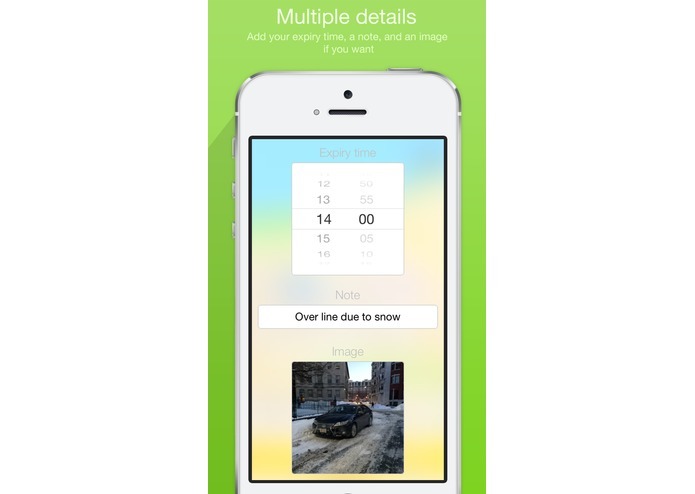 ● Multiple details: If you wish, you can add a note or an image to help you find your car! ● Be notified: Choose between Static and Dynamic Notifications. Static notifies you 10 minutes before your parking expires, and Dynamic notifies you when you should head back to make it there on time! 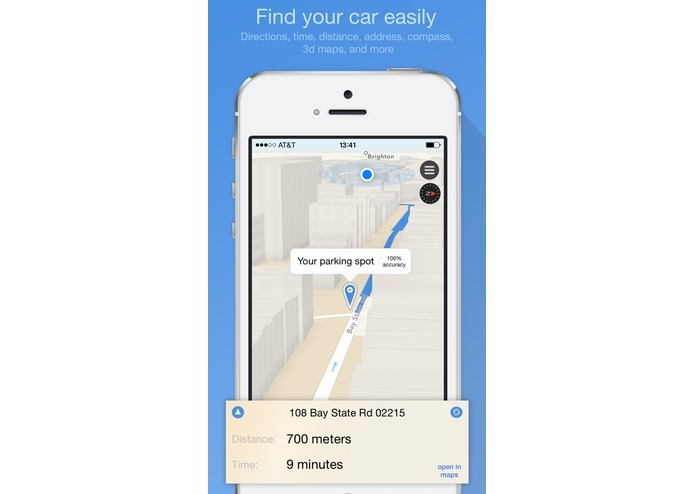 ● Get directions: parkIt finds the fastest route for you to follow back to your car, including distance, time, compass, and address!